As specialty printing advances, manufacturers use digital printers to create unique and in-demand products. The evolving technology allows for prompt personalization completed in house and broadens the manufacturer’s offerings. This article features specialty printing technology optimized for personalized promotional products without outsourcing. Established in 1981, U.S. Press serves over 25,000 businesses nationwide from entrepreneur startups to Fortune 500 companies with high-quality print marketing solutions in Valdosta, GA. It was the Buescher family’s dream to help entrepreneurs grow professionally and affordably. Kent Buescher, president/CEO, U.S. Press, started the company with his wife, Dawn Buescher, as a marketing-focused commercial printer with a goal to empower business owners with the right marketing tools and teach entrepreneurs on how to effectively use them. Starting with three employees, the shop offered graphic design and offset printing at the onset, serving from a 1,500 square foot work area. “Ten years of offset printing comprised 100 percent of our products. Today, digital and large format printing comprises almost 60 percent of our business and it’s growing,” says Buescher. The shop still aims to help entrepreneurs achieve their dreams. With 26 employees, U.S. Press serves all 50 states and is based in a 34,000 square foot work area. U.S. Press prides itself in providing business owners with low-cost, high-quality print marketing materials with first-class service and quick turnaround times. The shop produces full-color brochures, catalogs, flyers, presentation folders, posters, flyers, banners, signs, store displays, and window displays. The print provider uses equipment from Canon Solutions America, HP, Inc., and Mimaki USA, Inc. for large format printing. The shop also has four Roland DGA Corporation SOLJET Pro 4 XF-640 printers that run eight to ten hours daily and two Roland VersaUV LEF-300 printers. “Every piece we operate provides us solid service, but our Roland presses are almost trouble free over the last three years,” says Buescher. U.S. Press optimizes Roland’s VersaUV LEF-300 benchtop flatbed UV printer to produce high-quality marketing solutions. The VersaUV LEF-300 offers direct printing capabilities on a range of materials including three dimensional (3D). It prints on objects like pens, smartphone cases, signs, personalized awards, giftware, and laptop covers with Roland’s ECO-UV ink. ECO-UV ink options include white ink for clear or dark colored materials, gloss for gloss and matte finishes, and multiple layers of clear ink to simulate embossing and 3D textures. “A variety of unique items can be printed with the VersaUV LEF-300,” says Buescher. The printer’s maximum print width is 30 inches and up to 3.94 inches thick. The VersaUV LEF-300 uses four printheads and two UV LED lamps for fast curing to increase productivity. White ink and gloss circulates through two rows of nozzles for multilayer printing with increased density and opacity. The printer’s vacuum table holds thin materials in place. It prints on a variety of substrates including PET, ABS, polycarbonate, and soft materials like TPU and leather. According to Buescher, the LEF-300’s small bed size, slower print speeds, and high square foot costs of printed items are sometimes challenging. However, the shop does not employ printing alternatives for applications used with the LEF-300. “We have not found any other device that can print on these unique items,” he explains. Digital printing allows an array of promotional items to be quickly produced. These applications include keychains, pens, umbrellas, water bottles, tote bags, hats, and mugs. U.S. Press takes advantage of the high demand for promotional items and uses the VersaUV LEF-300 to promote sales. Using the VersaUV LEF-300, Buescher produces marketing promotional items like golf balls, jump drives, drink coasters, and cookie tin covers for several specialty manufacturers in GA. “At the same time, we produce many other unique prototype items,” he adds. For specialty printing, U.S. Press purchases items through Alibaba from China. Currently, the shop purchases 5,000 pieces of each item intended for customization. “It takes 30 minutes per bed full of items to print each load,” says Buescher. For example, the shop prints 50 golf balls per load. Specialty printers like the VersaUV LEF-300 print a range of applications including toys, control panels, and sports gear as well as specialized signs, tabletops, wood signs, game pieces, and clocks. For glass and trophy personalization color is added. This application uses white ink over colored glass to make colors pop and an embossed effect is added using clear ink. Buescher believes gloss varnish makes applications look particularly stunning. 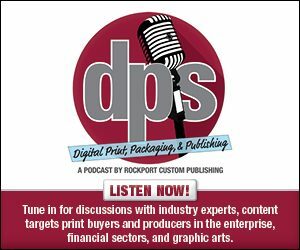 As the technology for direct printing grows, manufacturers and print providers take notice. “We are hopeful that the items we produce become a large future part of our business,” he concludes. Specialty printers manage a range of substrates, but as technology advances the output possibilities expand. Buescher says his customers are ecstatic about the applications produced at U.S. Press. Printers like Roland’s VersaUV LEF-300 pave the way for manufacturers to offer interesting and new applications that get noticed.